Nicola Galombik (left) and Maryana Iskander (right) are the founder and CEO of Harambee Youth Accelerator. More than 100,000 young people have benefitted from the organisation. Global Citizen campaigns on the UN Global Goals aimed at ending extreme poverty by 2030, and promoting sustainable and inclusive economic growth and employment opportunities is vital. You can join the movement by taking action here to support Global Goal 8 for decent work and economic growth. 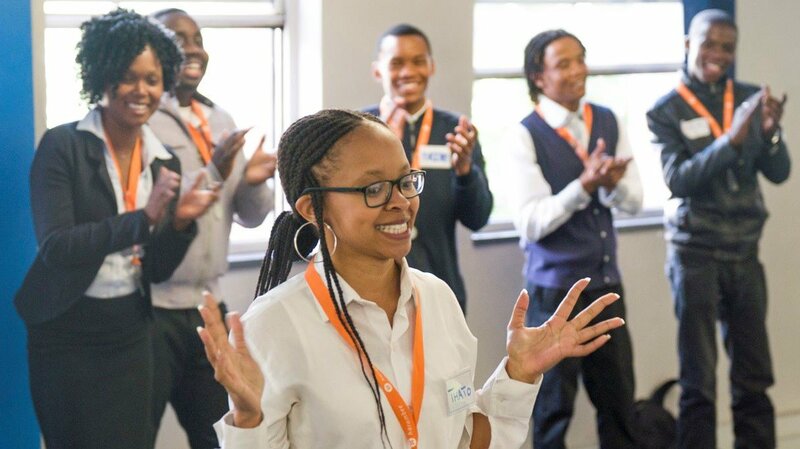 Harambee Youth Accelerator was founded in 2011 by Nicola Galombik to tackle one of South Africa’s biggest challenges. The country has one of the highest youth unemployment rates globally, with an estimated 54.7% of people aged between 18 and 34 years out of the job market. That’s 6.1 million people. Meanwhile, an estimated 40% of young people will never have jobs and long-term job security. This makes organisations like Harambee a necessary lifeline in the fight against ending extreme poverty and creating economic opportunities. It has already connected more than 100,000 unemployed young people across South Africa and Rwanda to jobs in 500 African businesses. Harambee's work and impact have now been recognised by the Skoll Foundation, which has awarded Harambee with the 2019 Skoll Award for Social Entrepreneurship. Harambee Youth Acceleator has helped more than 500, 000 young people in South Africa and Rwanda. Photo supplied by Harambee. "The Skoll Award recognises that Harambee’s innovation model to pathway young people is leading-edge and an African solution to one of the world’s most pressing problems," he said. The award, founded by Silicon Valley entrepreneur Jeff Skoll, “recognises change agents whose innovations have had significant, proven impact on the world's most pressing problems." The award is highly prestigious — with only about 100 organisations having received the award globally since its launch in 2005. Awardees get a $1.5 million support grant to scale up their work over three years. “We are excited by what the Skoll Award means for Harambee’s future growth and impact,” said Galombik in a statement. Most candidates in Harambee’s network live in poverty and struggle to access the formal economy according to Harambee, meaning that they either lack relevant skills, experience, or network to help them enter the job market. 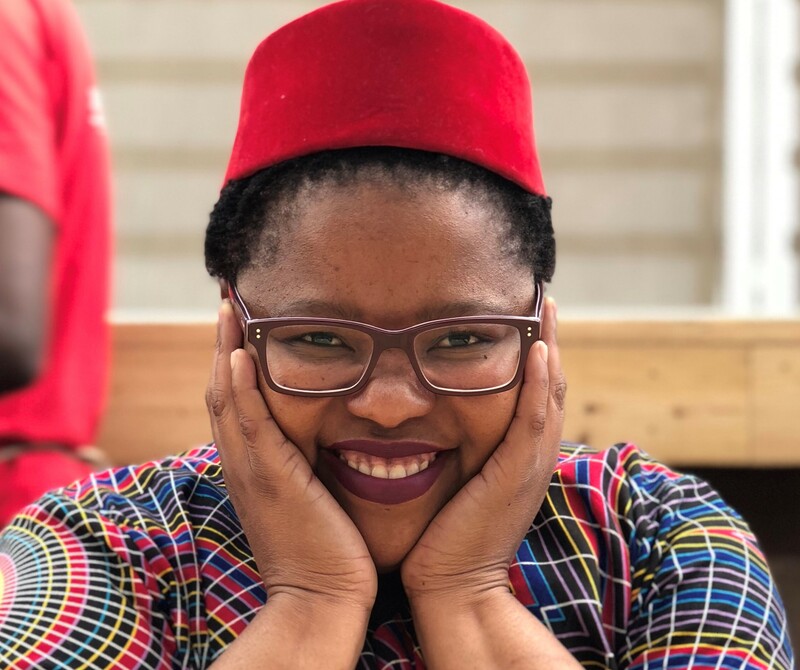 In the lead up to Global Citizen Festival: Mandela 100, held in Johannesurg on Dec. 2, 2018, Global Citizen worked alongside Harambee and Tsehpo 1 Million to launch a skills training programme with 75 unemployed youth in the Gauteng area.